A fine example of the Sinagua people's lives, Walnut Canyon offers well-preserved ruins in a beautiful setting. Starting around 1100 A.D., the Sinagua (Spanish for "Without Water") built rock-and-mud dwellings in cave recesses in this river canyon near present-day Flagstaff, Arizona. They employed dry-farming techniques to grow corn and other crops, and supplemented their diet by hunting and gathering plants. Researchers have found items indicating the Sinagua conducted trade with other groups that lived as far away as the Gulf of Mexico and the Gulf of California, and even Mexico itself. The years between 1125 and 1250 A.D. saw the greatest extent of the Sinagua culture: from the eastern slopes of the San Francisco Peaks, northeast to the Little Colorado River, and south to the Verde River valley. 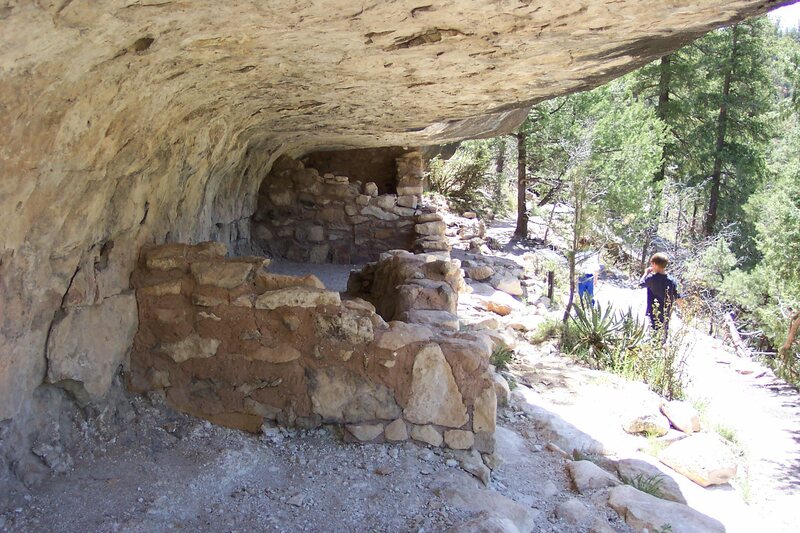 The Sinagua occupied these structures for little over 100 years, then left for reasons that are still unclear. Current theory has it that they were absorbed into what is now the Hopi culture. The visitors center is worth the trip alone. Apart from a museum room and bookstore, it offers a panoramic view of the canyon. 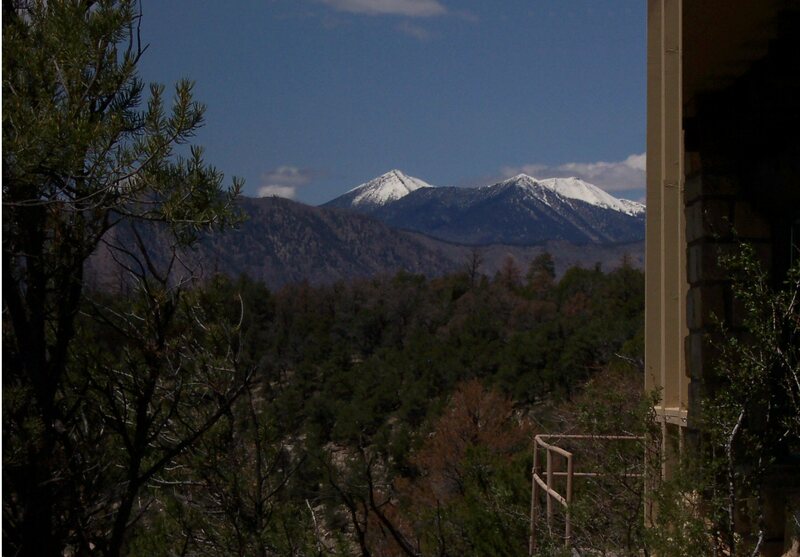 It's also the start of a 0.9 mile trail loop that passes 25 of the cliff dwelling rooms. There is a 185-step climb back to the visitors center and the canyon rim. 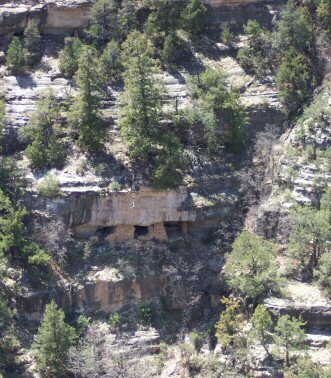 From the trail, visitors can see many more dwellings across the river, on the other side of the canyon. Birds and plants are plentiful, and the astute visitor will note five different plantlife zones in the canyon as you circle around. 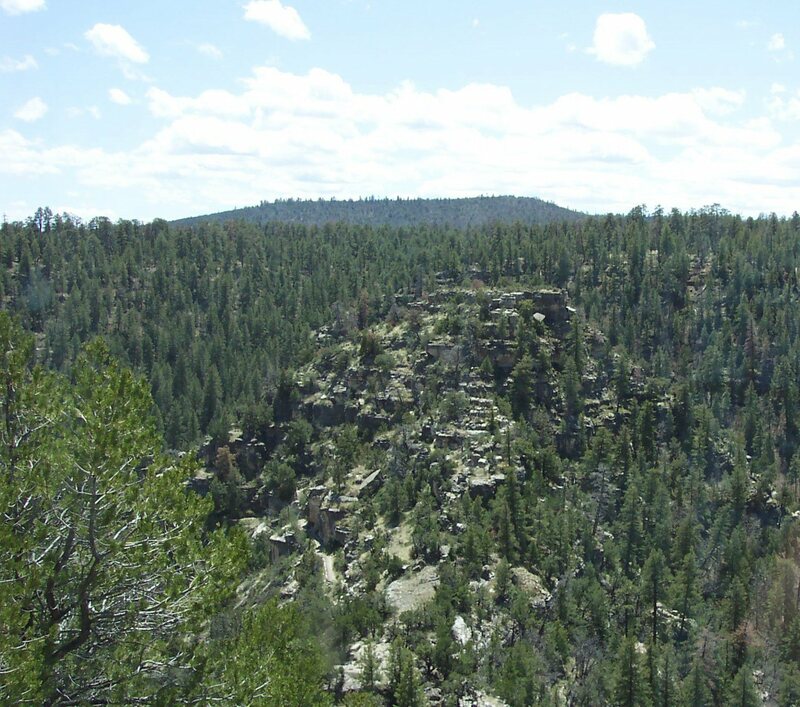 There is also a 0.7-mile Rim Trail that is easier to hike. 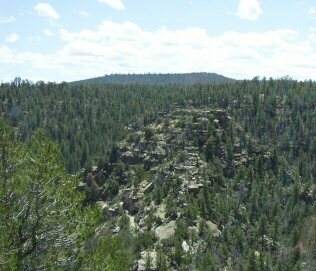 From this trail you overlook the canyon and pass the riuns of rimtop structures. There's a picnic area near the parking lot, and campgrounds are available nearby. This was a great Monument. The view from the visitors center is a rare treat, situated above the looping river that nearly doubles back on itself. The trail down into the canyon isn't difficult, but remember that this is at a 7,000 foot elevation as you climb up the 185 feet to the visitors center. Take your time, and bring water. 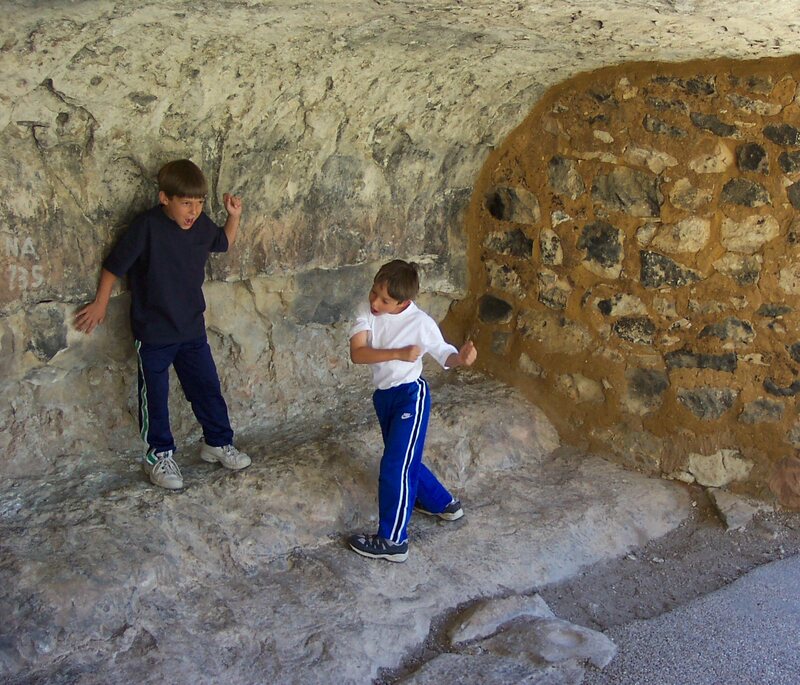 The last time I brought my youngest two boys, they leaped up the stairs like gazelles. Ah, youth! Along the trail you'll find many examples of dwellings. 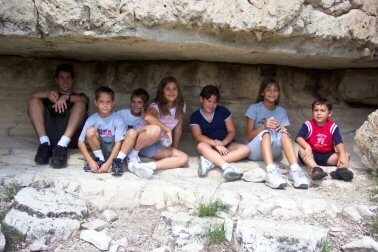 Try to spot more across the canyon under limestone overhangs as you hike! From Flagstaff, drive east on I-10 for ten miles to the Monument turnoff. A three-mile drive brings you to the visitors center. To the north is Sunset Crater Volcano National Monument, then Wupatki National Monument, then Grand Canyon National Park. To the east is Meteor Crater, then Petrified Forest National Park. To the southwest is Tuzigoot National Monument, then Montezuma Castle National Monument, then Agua Fria National Monument. Visited August 2003, April 2004.